Start with the dough. CUT the cold butter into small cubes. COMBINE all-purpose flour with salt and cubes of butter, one at a time. Keep on mixing, or kneading with your hands, until the butter and flour mixture looks crumbled. ADD the cold water and keep on mixing until you’ve got a dough ball. Use as much water as needed, the dough should be firm and not sticky at all. WRAP the dough ball with cling film and keep in the fridge for half an hour. GREASE the pie form with butter using the kitchen brush. PRE-HEAT the oven to 180 degrees celsius or 350 degrees fahrenheit. DUST your work surface with flour and use the rolling-pin to roll out the dough. TRANSFER the dough to the pie form and press with your hands so it will be in every corner of the form. REMOVE the extra dough, you can use the rolling-pin do to so. POKE the bottom with a fork. SLICE the figs in quarters. 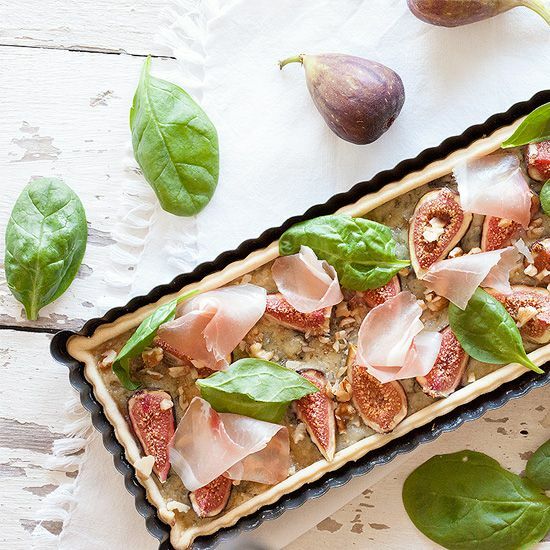 CRUMBLE the gorgonzola over the bottom of the pie crust and divide the fig quarters. BAKE the pie golden brown in about 20 minutes. Meanwhile chop the walnuts. 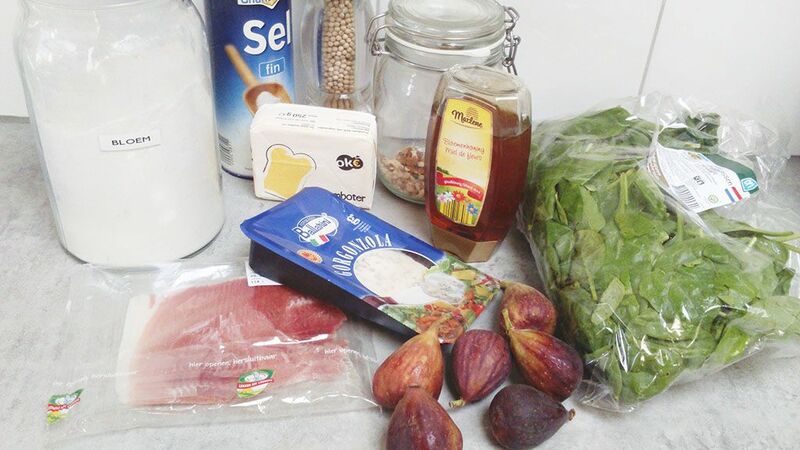 REMOVE from the pie form and garnish with ham, chopped walnuts, spinach leaves or mixed greens. 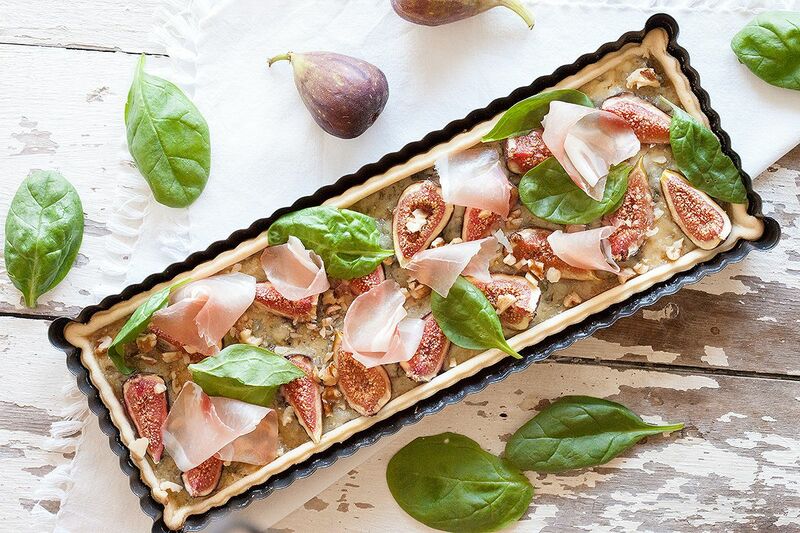 Finish the pie by drizzling a bit of honey over the figs tart. Enjoy!